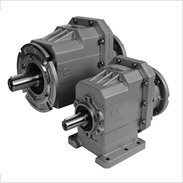 CHC series helical gear units is a new generation product, which designed basing on the modular system. It can be connected respectively with motors such as normal motor, brake motor, IECmotor B5 - B14. This kind of product is widely used in drive fields such as textile, foodstuff, beverage,chemical industry, packaging and so on. 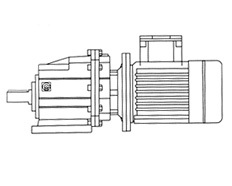 CHC Series helical gear units are manufactured in 5 sizes (+ 1 on request). It can be connected (foot, flange) discretionary and use multi-mounting positions according to cutomers’ requirements. Enter gearbox size dimension and transmision ratio, or part of its dimensions.